Nike has released PlayStation-themed Limited Edition Paul George PG2 shoes. The PG2 is launched in collaboration with basketball player Paul George. 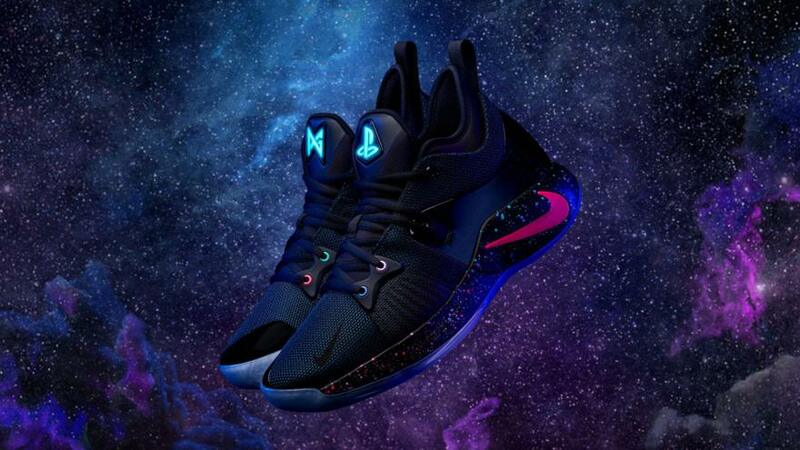 The new PG2 sneakers feature light-up tongues bearing the PlayStation and PG logos. Buttons inside the tongues let you turn the lights on or off. There’s also a pulse mode where the lights flicker and vibrate like a PlayStation Dual Shock controller. The eyelets mimic the PlayStation controller button colors of green, blue, pink, and purple; and the blue rubber soles glow in the dark. However, the shoe’s batteries aren’t replaceable and have a lifespan of around 150 hours. 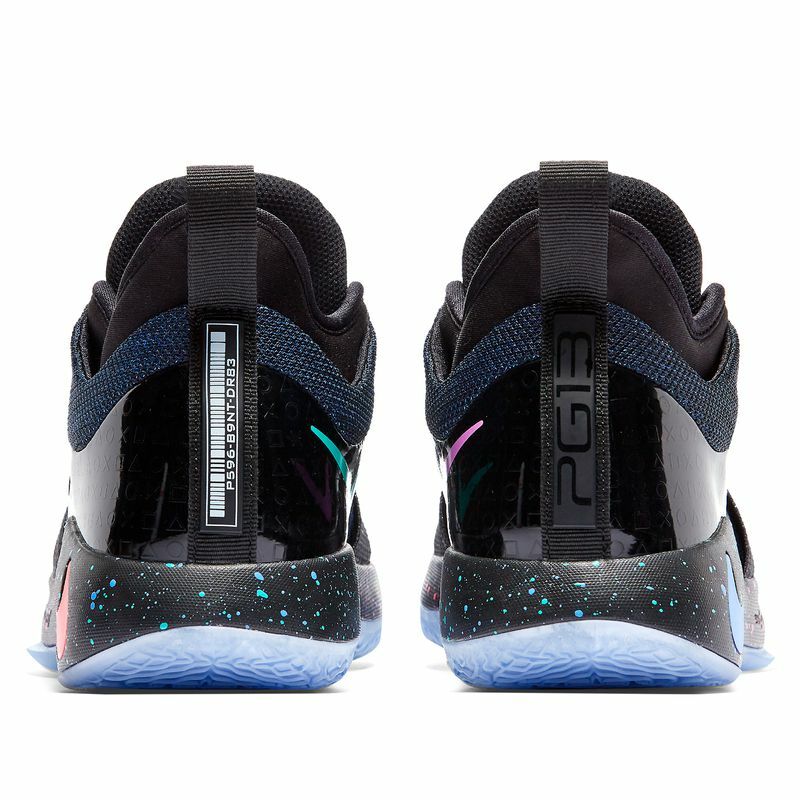 The new Nike shoes also feature the galaxy graphic which is available for download as a theme for PS4 consoles using a PSN voucher code that’s embedded on the back of the left shoe. For comfort, the shoes also feature bigger Nike Zoom Air units in the front foot section which add extra cushioning. 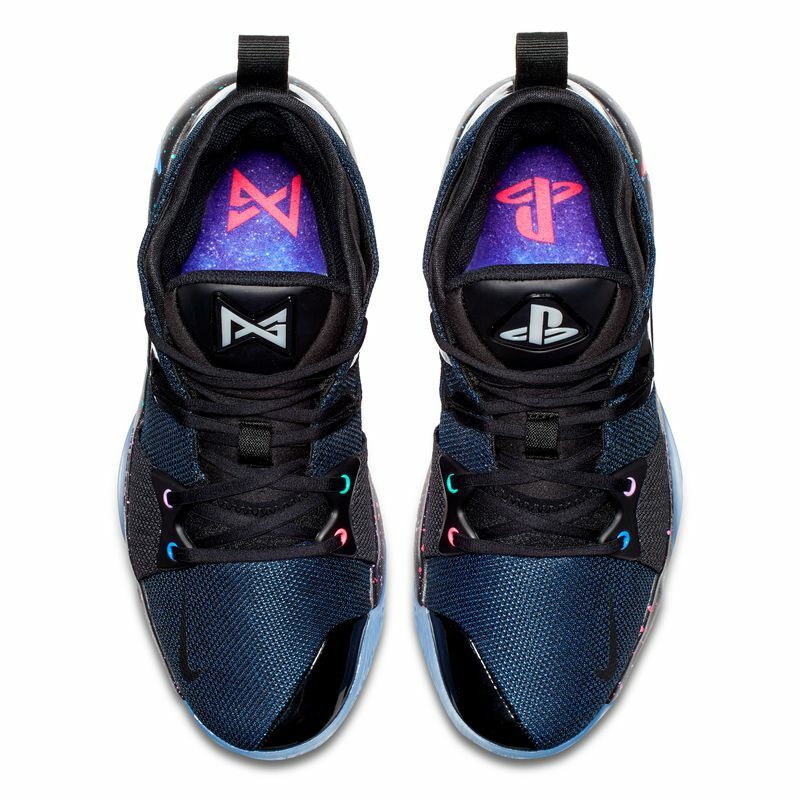 Nike’s PlayStation-themed Limited Edition Paul George PG2 shoes will be available globally starting February 10th for $110.